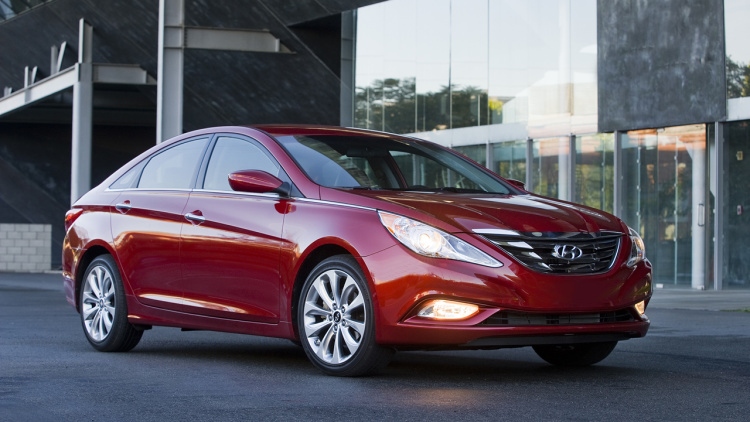 Hyundai will recall 304,900 examples of the 2011-2012 Sonata because a problem with a part of the brake pedal might not allow the brake lights to shut off. The campaign specifically affects units with build dates between Dec. 11, 2009, and June 30, 2011, but the company has no reports of accidents or injuries from this issue. The brake pedal stopper pad on these vehicles can potentially deteriorate and allow the brake light switch to remain active after a driver releases it. If this happened, the lights would stay on at the back, and a person could shift out of park without depressing the pedal. The recall campaign will begin Jan. 11, and dealers will fix the problem with an improved version of the stopper pad.